It’s not easy to be part of a senior team in a road authority in the western world, dealing with trends that include a decline in per-capita driving, emerging travel alternatives such as web-enabled ride sharing, and funding uncertainty. Yet there are consistent trends in any future scenario that can be imagined. The largest risk is to do nothing. Public bodies are notoriously slow to react and ignoring the rapid technological changes all around will be devastating to the credibility of transportation agencies. In this new series of columns, I will draw on my experience as director for Colorado DOT to look at emerging trends in the era of transportation connectivity, big data and automation, and what agencies should do to react to them. First is the new era of traffic information. DOTs have long had relationships with the private sector, especially in engineering and construction. 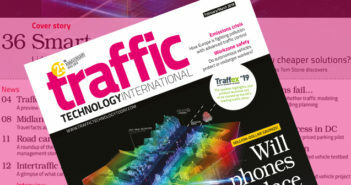 Now is the time to extend those relationships to a new industry sector – traffic data companies, who compile data from consumer and fleet vehicles, as well as mobile devices, and provide real-time data services to public agencies. Florida DOT (FDOT) and Waze recently entered into a data-sharing partnership that cross-licenses traffic data between the two entities. FDOT will share its traffic incident and road closure data with Waze, and Waze will share its traffic speed and incident data with FDOT. This is a great example of a public-private partnership that will extend FDOT’s capabilities in dealing with big data sets. It’s reasonable to say that the future sophistication of private data analytics will outstrip the ability of public transportation departments to keep up with traffic data reporting. Furthermore, companies will be developing original manufacturer and aftermarket systems that reside on vehicle dashboards that will outperform information disseminated by DOTs. DOTs will continue to collect specialized traffic data and operate cameras on heavily traveled routes. But the era of road authorities as traffic information reporting entities will disappear in the next decade. It will not only be about phasing-in new technology, but also about phasing-out the old. Authorities should be cautious about investing in internet-based traffic reporting systems, fixed variable message signs (VMS), or telephone-based information systems (511 in the USA). VMS are a questionable investment. It’s also time to evaluate the value of the 511 traveler information system. It probably uses resources that could be better deployed. There are exceptions to this overall recommendation. For example, actively managed express lane corridors will continue to need a range of dynamic signing to enable safe and effective operations. But an overall strategy for evolving traffic management capital investments is needed now.